Let’s be honest with ourselves, we all want to make a difference, but have no clue how to start. I mean it is not like we’re all billionaires, with immense amounts of money and time to spare changing the world. Most of us are just trying to get by, and when it comes to helping others, yeah, maybe we’ll get to that after the house is clean and the bills are paid and the kids are put to sleep. And really, one person can’t make that much of an impact right? WRONG. The most vital aspect to remember about making a difference is that lots of individuals making small efforts independently really can change the world. And you don’t need much time or money to make an impact. All it takes is a small gesture of consideration. And now, Artfire is going to help you make that impact. With our new Top 10 Ways to Change the World Right Now at Your Computer article posted in Art Daily, you’ll find a list of ways to make an impact. And the bets par is that everything on this list can be done without ever leaving your computer chair. So go take the first step to changing the world and making a difference! 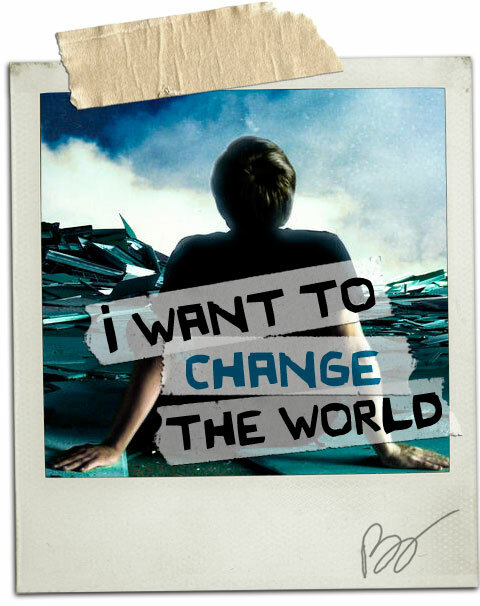 Check here to read the Top Ten Ways to Change the World Right Now at You Computer. Thanks for reading, and always buy handmade to support local artisans! Check out this darling handmade decoration, prefect for fall home decorating. 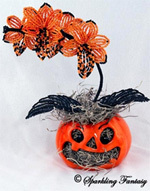 Orchid stands about 8 inches high, and is sure to put a smile on the face of everyone this Halloween! Click here to view the item for sale on Artfire.com. This handmade pincushion is custom made when you order it to be completely one-of-a-kind! 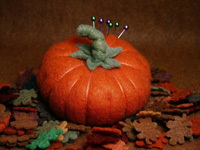 Great for Halloween, fall, or just anytime you’re doing needlecrafts. This bracelet looks good enough to eat! It’s 100% handmade of Moretti, Lausha and Czech glass. A great treat for any child or adult! Click here the view the item for sale on Artfire.com. 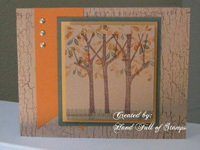 This blank greeting card was specially made to encompass the feeling of fall. Send it to someone to wish them a Happy Halloween, Thanksgiving, or just to let them know you’re thinking of them. Looking for more festive goodies? 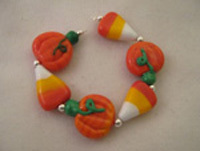 Check out our seasonal crafts section. Thanks for reading, and have a Happy Halloween everyone!